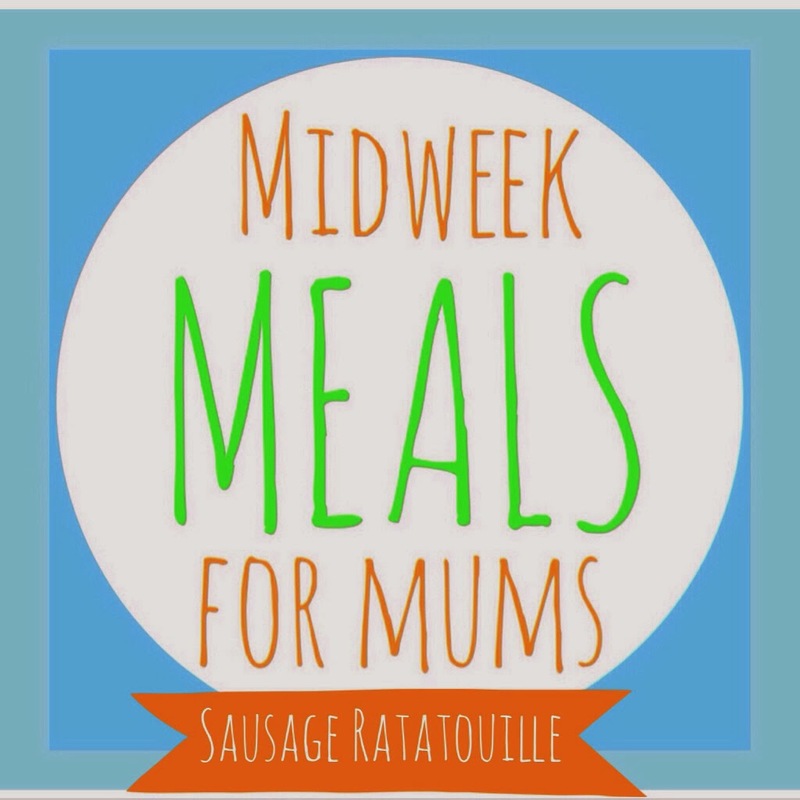 I haven't shared a new #midweekmealsformums recipe for a while (not since this one) simply because I've been a little lazy in the cooking stakes and with hubs working away two nights a week, it's often just me that needs dinner so I've just had whatever's going. However, I made this meal from basic ingredients in my cupboard and fridge in no time at all when we were all a bit frazzled by the week that was. 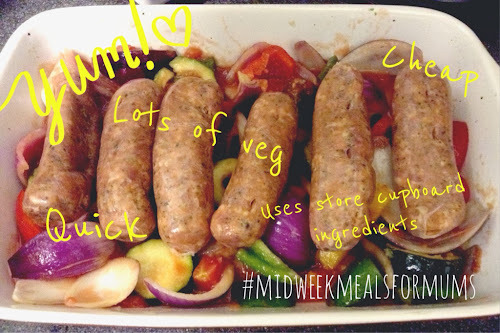 It was quick to make, uses leftovers, counts towards your five a day, it's cheap (around £4) and best of all, it can be made in just one dish so no stacks of washing up for you! 1. Chop your veg into nice chunks and mix in a casserole oven dish. Drizzle over some olive oil and a sprinkle of mixed herbs. 2. Place in the oven (has mark 6) for 10 minutes then remove and mix in a tin of chopped tomatoes and the garlic. Give it all a good stir. 3. Put the sausages (you can brown these a little in a pan on the hob first if you like) on top of the vegetable and sauce mix then place the dish back in the oven. 4. Leave for half an hour to 40 minutes, turning the sausages halfway through. 5. 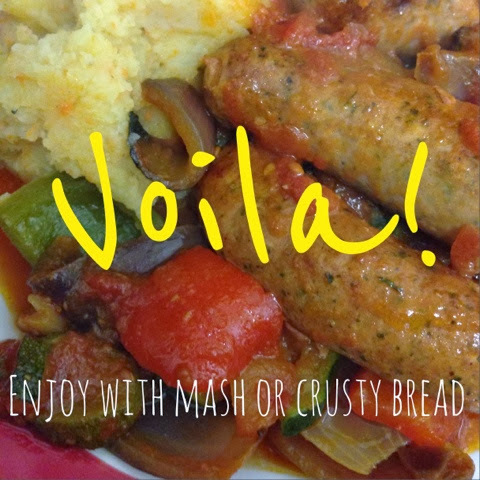 Serve either alone or with crusty bread or mash. - You can tailor this to suit your tastes - perhaps add paprika for a different taste or choose flavoured sausages to keep it interesting (we tried it with chipotle chilli sausages). - Asda do a great value pack of ready to cook veg, containing everything you need for this, for £1 - great value if your buying just what you need and trying to stick to a budget. - If you're being healthy, fry your sausages a little first so you can drain away some of the fat, otherwise buy sausages with 80% pork meat or higher for the best quality.